Launched in October 2016, the IMMA Collection: Freud Project centres around a significant five-year loan of 50 works by one of the greatest realist painters of the 20th century, Lucian Freud (1922- 2011). Renowned for his portrayal of the human form, Freud is best known for his intimate, honest and often visceral portraits. 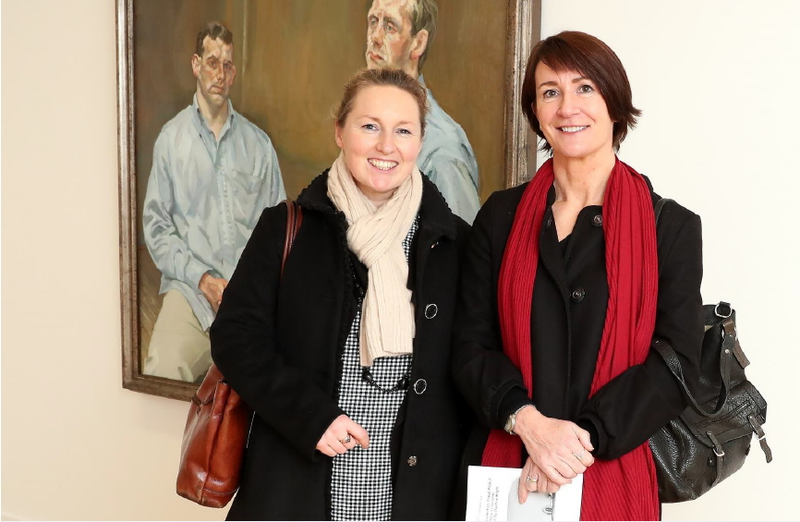 As an organisation with a major connection with the arts globally, BNP Paribas was drawn to the multifaceted nature of this three-year partnership with IMMA and, in particular, what it would mean from a learning perspective. “The BNP Paribas Foundation in Paris promotes unique cultural efforts, including contemporary dance, new circus arts, jazz and classical music,” says Aisling Duggan, executive assistant to the country head at BNP Paribas. “We had worked with IMMA in the past on a lot of different projects, but saw this one [the Freud Project] as particularly worthwhile. The plan to involve schools in a long-term way was important to us. Each year that children and young people come back to the exhibition, they see something different and their opinions will change.” For example, artist Daphne Wright curated the second exhibition to be presented as part of the IMMA Collection: Freud Project. Entitled ‘The Ethics of Scrutiny’, it investigated a time before Freud was born and looked at the relationship between the artist and the sitter. Sometimes Freud’s sittings might take hundreds of hours. As part of the exhibition, Wright presented the works of other artists who address the complexities of representation on a wider scale. The learning aspect of the Freud Project was enhanced further in 2017 with three artist residencies as the result of an open call. Laura Fitzgerald, Richard John Jones and a collaboration between artist Bridget O’Gorman and writer and researcher Sue Rainsford each took their own unique perspective on Freud’s work.